This tutorial will show you how to create DVD with an HD video converter. WinX HD Video Converter Deluxe, elegantly designed by Digiarty Software, gets armed with DVD Burner, YouTube Video Downloader and HD Video Converter, helping you to ceate DVD from all kinds of videos. This trend-leading functional enhancement and combination makes WinX HD Video Converter Deluxe truly all-in-one HD video converting software. If you have Panasonic HDC-SD10, JVC Everio GZ-MS110, Samsung SC-MX20 SD/SDHC, Sony Handycam HDR-CX110/R,or Toshiba CamlieoX100, all these HD Camcorders not only make cherish video for your great moment, but also arise your desires of collecting HD Videos onto DVDs. WinX HD Video Converter Deluxe can help you convert the HD videos from HD Camcorder, and then create DVD format folders for these HD video, and finally burn HD videos into DVD for a better collection and sharing. A new generation WinX HD Video Converter Deluxe features HD YouTube Video Downloader function. 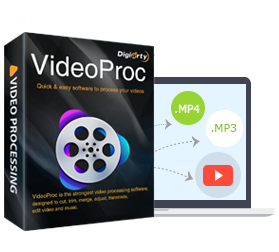 You can use it to pickup favorable YouTube Video, Metacafe, Myspace and 300+ video sites, download Website Video Automatically, convert them to the DVD format folder and then create DVD disc with DVD burner. Without assistance of any third party Video Converting or DVD Creating tool, WinX HD Video Converter Deluxe can do all your favors of burning Website Videos onto DVD disc. Burn HD Videos to DVD Disc: AVCHD Video (*.mts, *.m2ts), H.264/MPEG-4 AVC (*.mp4), MPEG2 HD Video (*.mpg; *.mpeg), MPEG-4 TS HD Video (*.ts), MPEG-2 TS HD Video (*.ts), Quick Time HD Video (*.mov), WMV HD Video (*.wmv, *.xwmv), Blu-ray Video (*.mts, *.m2ts), HDTV Video (*.ts), Matroska Video (*.mkv). Burn SD Videos to DVD Disc: AVI, MPEG, WMV, MP4, FLV, H.264/MPEG-4, DivX, XviD, MOV, RM, RMVB, VOB, ASF, 3GP, 3G2, QT, DAT. How to Use WinX All-in-one DVD Creator & HD Video Converter? Step 1: Free Download this first-class DVD creator first, and load your source video by clicking "+Video" button. Step 2: Convert videos to DVD format VOB file. This versatile DVD Creator supports Burn video to NTSC and PAL DVDs, supports 16:9 and 4:3 DVD Aspect Ratio. Then create DVD Folder, finally burn video to DVD Disc. The created DVD disc can be easily played upon your home DVD player. Step 3: Set a destination folder to store the DVD VOB file by clicking "Browse" button. Step 4: Right click "RUN" button to start creating DVD with this DVD burner and HD video converter. - Use Advanced De-interlaced Accelerator to achieve better image quality. - Use High Quality Engine to better output resolution. - Use Intelligent A/V Synchronizer to solve video and audio not synced trouble. - Multi-Core CPU and Hyper Threading Technology supported, hardware accelerated video converting and DVD burning speed. WinX HD Video Converter Deluxe not only can burn videos to DVD, but also can convert among various videos, such as converting AVI to iPad, MKV to iPhone, WMV to Zune, Blu-ray video to Android phone and so on. A fast video/audio/DVD converter, a video editor, a video compressor, a video recorder, and YouTube video downloader. It helps cut, crop, merge, adjust, and process (4K) videos with Full Hardware Acceleration. Download the best free DVD writer software on Windows 7/8.1/10? This free download page will give you some advises on DVD burning with WinX DVD Author. Review 2018 top 6 Windows (10) DVD to DVD burner software below for their key features, pros and cons to choose the best DVD burner. Want to convert/transfer camcorder video to DVD for totally free? WinX DVD Author is best camcorder video to DVD conversion helper. Learn the specific tutorial in this article.